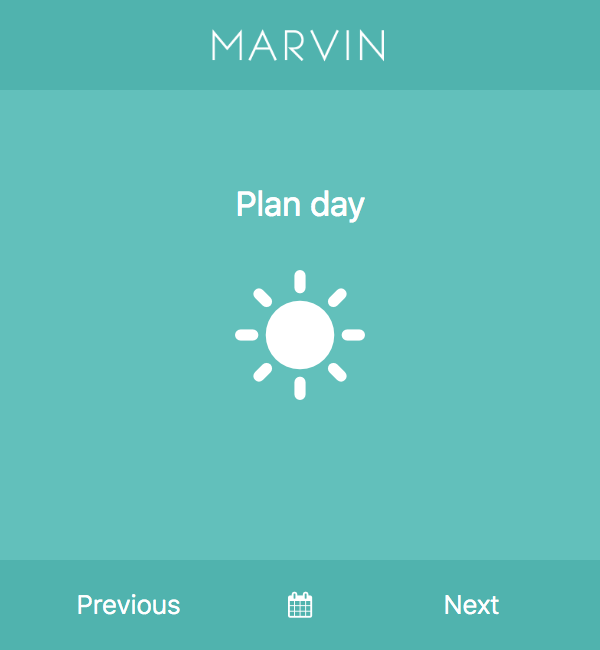 With Marvin you can create many different workflows. 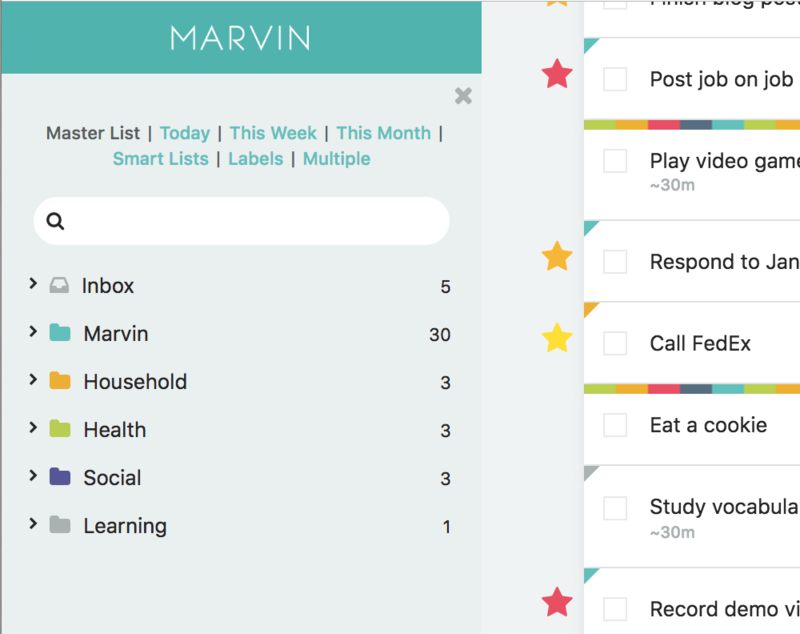 A very popular category of workflows evolves around the idea of a daily to-do list. To create a to-do list for a day you need to schedule specific tasks into a day. But even if you don't make daily to-do lists, scheduling tasks is something you will likely need to know how to do sooner or later . Scheduling a task basically means you want to do this task on this day. This is also called the "do date". In your day view, hover over the date display on the left (the big number). On hover a sun icon will appear. Click to open up the sidebar. In the sidebar you can now see your Master List. Click the categories or projects to open them up and reveal the items nested inside. The chevron on the left pointing to the right indicates you can expand this item. To schedule a task to your day, simply drag the task from the sidebar into your day. 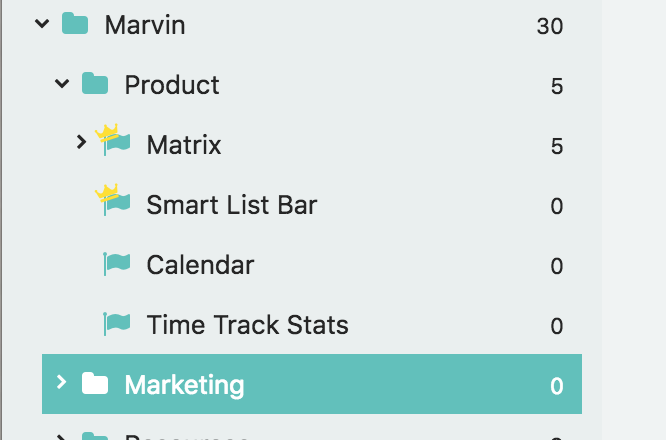 If you are using sections in your day, drag the task into the specific sections you want the task in. We recommend using the sidebar scheduling approach when creating a day plan so you can keep an eye on your day and make sure you are scheduling the right amount and the right things. Depending on your workflow you might still want to schedule tasks to specific days sometime even if you are not creating a to-do list for each day (e.g. GTD workflow). 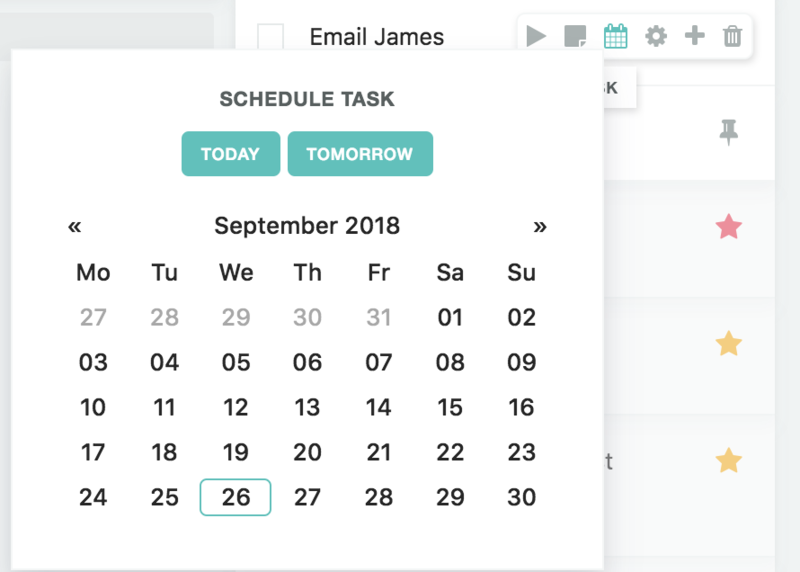 You an schedule a task to a day from any page/overlay by hovering over the task and clicking the schedule button on the right (calendar icon). You can also use a task input shortcut to directly schedule a task to a specific day while creating it or editing the task title. Use the shortcut "+" to schedule a task with the shortcut. 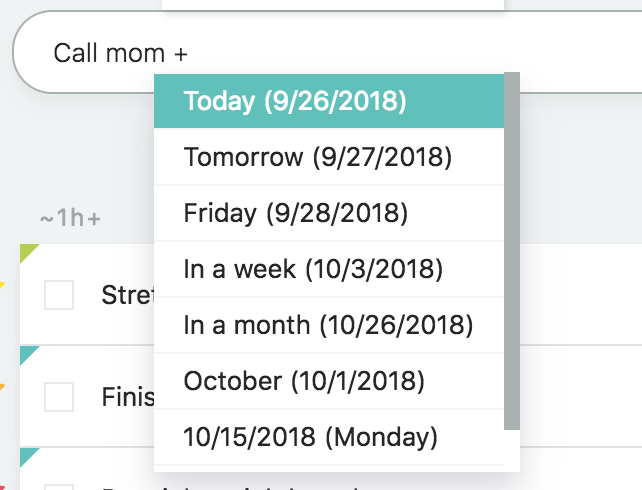 You can type the specific date, the name of the week (if this week), or schedule it 5 days from now with the shortcut "+5d" or one 3 weeks from now with "+3w" etc.